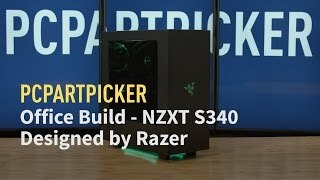 $1082.84+ #03 - A silent Skylake PC for heavy coding and gaming! Nice mobo with led, without any additional tpu epu switches for additional confusion. For the heck of it used the new gizmo processor installation tool, there is no way you can get the processor inside the tool without touching the pins on the back, but was ok, and you get a solid location over the socket. Sadly they are not giving the Q connector. This board is a great alternative to the more expensive ROG boards, and the Z170-A. I am very happy with this board as it has all of the features I need, at a very good price. I also like the aesthetics of the board, fitting with with my cliche red/black theme. Would definitely recommend this board to those who can't quite afford an ROG one. It's awesome. My build is red and white. The Z170 PRO GAMING has breathing mode which look stunning. ? So far, this board has been great. Aesthetics are not quite what I wanted as there's a lot of different blacks and grays and reds and whites, and I really want to figure out how to stop the "glowing" or "breathing" of the LEDs on it, but it performs excellent. I haven't really used any of the built-in features, but I bought it for cheaper than the Z170-A, so I really can't complain. Love the I/O options on the back. I just came from a board with no overclockability and the sata cables were ALL 1 and 2... this one is kinda like heaven. Great Motherboard. I took a star off because of a known issue with the Realtek drivers needed to get the sound going. There is an issue where in-game audio is either intermittent or non-existent, in my case non-existent. Have tried many different versions of drivers and fixes but am still troubleshooting the issue. Will update when I fix the issue. UPDATE 01-19-16 - After extensive diagnostics and 3 hours of talking with ASUS it would seem that the Audio chipset on my board was bad. I did some review surfing of the board and learned that many people were either having audio , usb or BIOS issues that I concluded that I needed to return the board. Newegg reviews for the Z170 Pro Gaming motherboard shows that ASUS has dropped the ball on their motherboard quality and has lost yet another loyal fan. I ended up replaced this board with a Gigabyte GA-Z170-HD3P. Installed, turned on to configure the BIOS but missed the BIOS key and lo and behold, Windows booted to the desktop. It seems the Gigabyte board and the ASUS Pro Gaming boards share enough drivers that a Windows 10 installation in not necessary. Great price and great BIOS for a beginner. I would have given this 4* but was told the drivers came pre installed so wouldn't need a CD drive. They didn't so I had to delay my build by a day till I could DL the drivers on a flash drive at work. The manual became a touchstone throughout the build but it could easily have been more user friendly. No troubleshooting chapter was a real pain. All in all good still for the price and utility. I like this motherboard. The BIOS is great. Like other boards, I wish the software was documented more clearly on the web site. But that aside, the motherboard is great. BIOs is notable; very good. I feel this board contributed to my ease of overclocking with regards to how the menus are laid out and such.